Searching for best tactical watches? You are at right place. This is a comprehensive guide. It will educate and help you to measure different factors to choose the best military watch for you. Don’t get confused tactical watches are also called military watches. Tactical watches are not meant for telling time only, they are much more than that. Whether you are on an adventurous hiking expedition or you are camping in a remote hilly area or even in desert conditions or in any outdoor activity or you are a military personnel. In such scenarios, every load you are carrying must be meaningful and useful for you. A useful military watch will be difference creating element. Everybody has their own preference. You can have a tactical watch with minimum sensors while others would want as many perks as possible. Some travel in groups and would like to distribute different equipment among each other and get more than one tactical watch for variety. There may be a preference for style while some would be happy with the low profile minimalistic design. Some want tough build while some watch enthusiast wants the most lightweight and comfortable timepiece on their hands. Suunto Traverse Alpha is a GPS digital watch and makes into this list of best military watches. Durability wise it is commendable and offers a variety of features. The crown is made up of stainless steel. The band is of thread built. It can be prone to abrasion or sharp objects but this is a compromise to provide the comfort on wrists. The crown glass is made up of sapphire and it is the second most tough material in the world after diamond. At such reasonable price, sapphire increases the machine durability exponentially. Overall the build is thick and big. The GPS provided by watch allows you to drop waypoints. You can drop waypoint as you move along and create a trail. On your way back, you can follow the exact same trail and reach back to your safety. Suunto terms this as an auto breadcrumb trail. Another exciting feature for hunting enthusiast is mapping your shots on the GPS. This is done with the help of automatic shot detection technology in this tactical watch. You can see where you shot during your day. These marked points are golden, as these are usually great spots for hunting. So, next time you can make your way back to outdoor activity to the same place and look for potential catches. In addition, when you get home by connecting the watch to your computer you can view where exactly you have been on a bigger detailed map. It is not a technical process, all you need to do is download the app from Suunto website and allow it to sync it with your watch. After synchronization, you can view where exactly you have been hunting and shooting. If you are a hunting hobbyist then you must be aware how important is time. Time of the day can make difference in what kind of prey is available. Suunto aids in this perspective by providing the calendar of moon rise and set timings. So, you know what time is the best to go out for hunting and look for a great catch. It also tells the surrounding temperature but it would require you to take it off. The display is flexible you can change the backlight from red to white. You can even connect it to your computer by downloading the free app from Suunto website. It can also connect to your smartphone and send you message alerts on its small screen. If the message is small it will be readable on the small screen of the watch. All this communication will be done by inbuilt Bluetooth. It is also flexible enough to be linked with a heart rate monitor. It comes with altimeter and barometer as well. 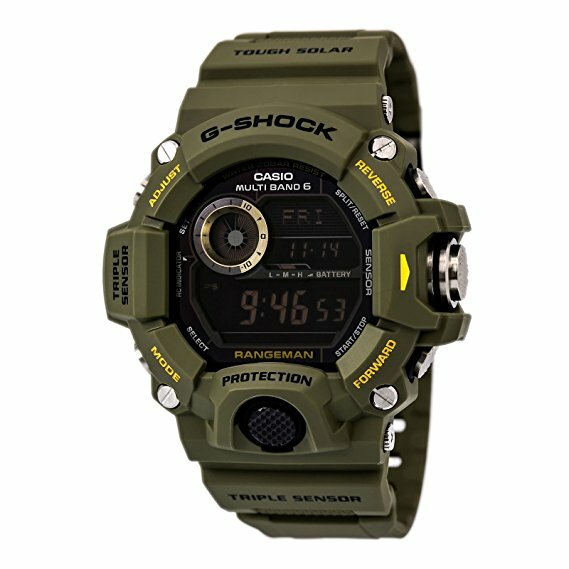 Because this is a GPS watch, therefore, you should not expect its battery to last for months. If you use the GPS tracking to the lesser frequency the battery will last for around 100 hours. If you turn off the GPS you should expect a duty of around 2 weeks. The battery is rechargeable, otherwise, it would be meaningless to own this piece. A more affordable Suunto watch than Traverse Alpha and makes into this list of best military watches or best military watches. As the price has gone down so are features. It comes with tons of strap options. This is to cater needs of all kinds of users. From low profile minimalistic black military color to attention-grabbing lime crush. Suunto has taken care of all kinds of customers. The design is relatively less rugged and is more of an elegant design rather than tough look. Its also coined to have been used in the movie Equalizer. But as the price has gone down so is the GPS which is not present on this watch. You cannot drop your waypoint, create routes, connect to a computer to see your shooting locations. In order to do navigation, you need to put in your experience by combining compass with elevation. In order to do that you must have some basic knowledge of the terrain, you have planned an expedition to. For example, where is the river? Is it flowing from west to north east? Or Where is the road running along, is it towards the west? If you already know these answers then you can navigate your way quite well without GPS. It is not very water resistant, can only resist up to 30 meters. Great tactical watches can resist water up to 200 meters. As GPS is not included the battery life is longer. It can last up to a year provided that you do not use sensors more frequently. It does provide the depth meter and alarm for the storm as storms are related to pressure changes in the environment. Whenever barometer detects abrupt pressure changes it foretells about an incoming storm. Although the water resistance is low but you can still carry it to 10 meters below water. Another digital watch without GPS. It is made in the USA. Coming at the very affordable rate this is a tactical watch for someone under a budget. This is why we have included its list of best military watches. It competes directly with Suunto Core military. It takes the lead from Suunto from power perspective as it is a solar powered military watch but both are great outdoor activity watches.. The build is resin and dial colors are of grey color. The crown glass is made up of mineral. It is not a sapphire glass hence it is prone to abrasion. But mineral glass is made up of more than one element and can also withstand scratches. But resistance to scratch is not as good as a sapphire lens. It does not have altimeter and barometer but it includes the temperature sensor along. To get an accurate reading you need to take off the watch on your wrist. Apart from tactical usage, you can also use it for daily use. However, the watch is not atomic timekeeping. With auto illuminating settings turned on, the screen will glow when tilted. This is great to view what is the time during the night. The watch includes a compass which is pre-calibrated and accurate up to 10 degrees. 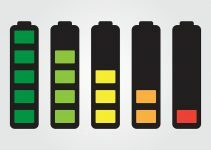 The battery is claimed to last for 2 years if you do not use the tactical features for long. For those concerned with magnetic nature, this watch is antimagnetic. Overall if you compare it with Suunto Military core then they two compete with each other. It takes lead from Suunto because of its solar-powered battery but from the tactical sensor, it lags behind. It is for someone with a budget. If you can neglect the battery and price comparison then go for Suunto. A digital-analog sand colored watch that keeps time with Quartz. As this is a quartz watch it means that there will be the negligible error on it by the end of the month. It is a shock resistant watch and comes with a variety of displays. The window is made up of mineral. So it is not a sapphire screen but a mixture of various elements hence called mineral glass. The strap is made up of resin. It can be user-friendly but can be allergic for people prone to it. The display is both digital and analog. The display also includes a LED light. Like basic requirement of military watches, the build is very strong and the watch is shockproof. It stores the time of up to 48 cities and 21 time zones. It can withstand water up to 200 meters. You can take it for snorkeling and it will not malfunction. Also, you can take it for water sports like surfing. Overall weight is relatively small considering the large profile of the watch. The dial on the display has the functionality of chronograph. Chronograph in simple words is the stopwatch and if there is a separate dial for it then it is called a tactical watch with chronograph feature. Although all the features are straightforward and it not a complicated watch. But if you are a careful user and want to assure everything from the manual then its reported to have one of the most substandard manuals written by Casio. Among other downsides, it does not have the compass. Therefore, do not plan to take it on an unknown adventurous terrain. It is an entry-level military watch. You also do not get the perks of Altimeters, Barometer, GPS or Thermometer. A digital tactical watch that offers analog display as well. It is a high-end tactical watch that comes with two straps. You can choose from Nylon to Silicone. The bezel is made up of stainless steel. It is a high-end machine so you should expect sapphire lens and it does have it. Sapphire being second most tough material and at affordable price imparts this watch extremely tough built. You can be sure that the display will not get worn out due to scratches or during intense outdoor activity. Therefore, it is enlisted in best tactical watches. This is a GPS watch also supported by GLONASS. You can get your exact coordinates by just few button pushes in MGRS format. In addition, the GPS allows you to drop waypoints. You can also create routes before the start of a journey. The in-built GPS will navigate your way with accuracy. Another interesting tactical feature is the parachuting jumpmaster. This works great for army personnel, paragliding or skydiving enthusiast. You can store a preloaded destination via jumpmaster. After you land, the GPS will navigate you to the targeted area. Like Suunton Traverse Alpha you can connect the watch to your computer or smartphone. Simply download the app from Garmin website and wait for synchronization. Once the synchronization is done you can view where you have been on the map. It displays exact locations and your trails. All this communication is done via Bluetooth connection. It is a direct competitor of Staunton as it matches most features but it does not have the shot tracking system. Like Suunton Traverse Alpha you can get mobile notifications on the watch display as well. Other tactical features include Altimeter, Barometer, Compass, and thermometer. In comparison with Suunto, Garmin struggles in locking the GPS and battery life is also lower than Suunto traverse alpha. Therefore, if you are confused between the two based on features, our recommendation is clearly Suunto Traverse Alpha. Short name RANGEMAN, attributed to the master of G series. Has rugged finish and beautiful green finish. It is solar powered watch. It is an atomic watch, it means that it receives a radio signal and calibrates its time according to it. Therefore, there is very little room for error on this tactical watch and it will tell you accurate time. The display glass is not made up of sapphire but of mineral. The casing is made up of resin. This is not a GPS watch, you will not be able to store waypoints or routes onto this device. But you can still navigate using the compass. It is equipped with sensors. You can measure pressure and altitude with barometer and altimeter. Wit a thermometer, you can measure the atmospheric temperature as well but that would require to take off the watch. Overall the build is very strong. It is shock and mud resistant. Casio has made the watch waterproof as well and it can withstand water pressure until the depth of 200 meters. Another interesting feature of this best military watch is that it can operate in temperature as low as -10 degree Celsius or 14 degrees Fahrenheit. The buttons are in cylindrical shape and offer great shock resistance. It is a mid-range best military watch. If you compare it with Suunto Military Core then it is equipped with solar power and can last for much longer. In addition, it is also shock and mud resistant. Apart from that, it is pretty much similar to it. After lack of GPS, the other drawback is the backlight which does not glow the whole LED rather it glows from a side and makes it slightly odd to read the screen during night time. Another solar powered watch with atomic timekeeping. It gets radio signal and calibrates its time according to it. This is another analog + digital watch in this list and it still comes up with three sensors. So not only analog but you also get the perks of digital watches as well. This is a Quartz crystal watch and maintains its time with great accuracy. The display lens is made up of scratch resistant mineral. It is a mid-range military watch and does not offer the perks of absolute scratch less screen of sapphire. The bezel is stationary and calendar offers dates along with moon phases. This tactical watch although is analog but still offers the sensor perks. It offers digital compass, Altimeter, Barometer and Thermometer on small triple sensor LED display. It is solar powered battery and on a single full charge, it can last up to 6 months. But it is debatable as some users suggest the battery life is shorter than that and if it effects the accurate time display. It is a mid-range tactical watch, so you should not accept the GPS functionality with it. But you can still navigate your way with a digital compass. For that, it is necessary that you get to know the terrain beforehand. This will help you better navigate your way through compass logically. The band is made up of resin and watch water resistance is up to 100 meter. You can use it for snorkeling and swimming but not for scuba diving. Also, another important aspect is the dial. You can view the display even during the night time. As the white coating is done over the dials and time slots which will make it easier to see. An analog military watch with an extremely beautiful night vision. It is a quartz movement watch which ensures that there will be a negligible error on your watch. Luminox watches are mostly worn by US Navy Seals. It depicts the brand authority with quality. Luminox has been building special watches especially to cater the needs of men in boots. It has a unique feature of measuring the walking speed on the bezel. The best part is that this watch comes in the category of starting mid-range best military tactical watches and it still offers sapphire lens. Sapphire lens is something to be proud of on your watch. By providing anti-reflective, scratch-free glass your investment is secured for ages. The bezel is made up of stainless steel and it moves in one direction only. The watch is made water resistant and can stand up to 660 feet of water. It is not a GPS watch but they do provide big analog compass along. You can navigate your way through it. But compass can only be helpful if you are aware of the terrain especially know the flow of river or water stream. Although the compass is big but it is also removable. It is a military watch with starting mid-range price and its build is analog. You will not get the perks of sensors with it. Therefore, it is more of unsafe adventure gear material. If you are planning to take this to hiking or climbing, we would recommend taking Suunto or a Casio. This watch is not a complete military watch in terms of its functionality. But from look wise especially T25 tritium cells night vision is one of the best tactical watches reviewed here. For beginners and someone who is just looking for the tactical profile on wrists. It is the most affordable wristwatch on this list. The casing and bezel are made up of resin. Dial window is acrylic, therefore, it is prone to scratches and abrasion. A bezel is stationary and the watch has a calendar. Its movement is quartz. In this low budget, you are still saved from time errors. The watch also provides alarm and chronograph. You can set up timer and its build is water resistant. It is claimed to handle water depth up to 330 feet. It is set at to target both men and women along with kids. At this affordable price, you will not get the perks of sensors or GPS. But the build and design impart tactical watch look to the machine. It is not something which works like a tactical watch but is certainly for those who want to get a decent looking tactical watch. If you are planning to take this on an outdoor expedition then by no means we are recommending this watch. As stated earlier we only included this watch in this list of best military or tactical watches for symbolic enthusiasts. 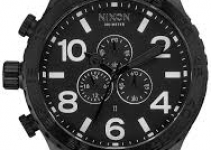 There are a number of factors which can create immense differences between tactical watches. We feel it’s our duty at Tell Me Best to inform our viewers about the best practices before buying a tactical watch. The below guide will help you clear your confusions about tactical watches. It is the grip of the watch which holds the watch with your wrist. You need something comfortable and not very pushy. Although the designs are usually rugged for tactical watches but by no means, wearing a tactical watch should be uncomfortable for you. Therefore, the chosen band should be rugged and have tough built. While it should also be easy to wear or take it off. The wristband should not be very loose or of quality that might break under stress. Away from civilization, in your hunting or exploring journey you might have to hike, climb or reach for places which would require a lot of strength. For example, while hiking a steep hill your wrist will touch rocks and bushes. It is very much possible that the band will get stretched and might break. Therefore, check the band quality, it is a must check to do but this factor does not affect the time accuracy. The silicone material band although seems brittle but is actually, very flexible. It can withstand tougher conditions and is easy to handle and wear. There is another paracord band, stretchy and comfortable to wear. It is easy to wear and can adjust to your wrist size. Buy it can get worn out due to its thready nature. Metal wristbands, sounds great, isn’t it? But it is not only against low profile for tactical watches but also it can get hot under the sunlight. They can be heavier too. Although the built is strong but it can become uncomfortable. Same is the problem with leather bands. They will get uncomfortable under heat and can cause irritation while sweating. The small tactical watch on wrist needs power to operate. There are different kinds of tactical watches when it comes to power. One kind contains battery as power source. Small circular cells are usually placed inside the watches. Since a military watch has to do more than what a conventional watch does, therefore, it consumes more power than the simple watches. So, typically cell powered tactical watches usually last for a year. The cons of battery tactical watch are not only shorter battery life but also it gets tricky when you have to replace the battery. You might get tough time finding an exact matching cell for your watch. In addition, it can also be troublesome when you must get it replaced by the company itself. The second type is the solar powered watches. They absorb sunlight and operate on that. Some tactical watches get charged up within 6 hours of sunlight and can operate for 6 months. While some can even take artificial light as a power source and charge the battery. The drawback is the price, solar-powered batteries are usually more expensive than the battery tactical watches. The third type is the winding or mechanical watches. These watches get power from your wrist movement or by winding the watch crown. When not wounded these timepiences will soon go out of operation. So you have to wind them again before you plan to use them. Tactical watches can be digital or analog or even combination of both. Both have their own benefits and cons that is why there is a combination of both that uses benefits of both. You might think the analog watch is difficult to read buy tactical watches are designed in a way that you can view the time without trouble. Digital watches are easier to read as well but require to turn on the light with a button. It is your personal preference which kind of watch you find more comfortable to use. All simple watches lose or gain time. As they go along only a few are able to maintain accurate time for a long period of time. You have to correct time every once in a while. Your tactical watch should be very accurate and should not lose or gain time. Look how the watch operates and does it recalibrates itself? What is the minimum error for the watch? You need to get into such details if you want a super punctual device. Usually, battery-powered Quartz watches are accurate to plus minus 20 seconds average for a month. It means by the end of the month, the watch might have gained or lost 20 seconds (rarely gained). On the other hand, mechanical watches, lose more time as their power decreases with every day. So, Quartz watches are far more accurate and this is why this technology is employed in most of the military watches. By design, we do not only mean how good it is looking on your wrist but also how user-friendly is the design. It should not be too big nor too small to read. Design should be balanced. Tactical watches are typically not meant to be attention-grabbing. They are designed to keep a low profile. The color is usually dark and the interior is made of colors that are easy to see. The shape of the machine is kept minimalistic so it does not get in your clothing. Also, the design is a matter personal preference. Some people can accommodate with more flashy and attention-grabbing style. While for other a minimalistic design will suffice. Tactical watches are made up of black, grey or of camouflage profile. It is worth mentioning that watches are designed keeping different eras in mind. These include styles from WWI, WWII, Post Vietnam, Iraq etc. Apart from civilians, watches are designed for the air force, army or navy units as well. You can learn more about the history of wristwatches by learning from this resource. That is one of the reason, you see 24-hour dial on some of the tactical watches. Because this look is desired most by the men in boots as it depicts their duty hours are distributed all around the clock. More the features more will be the price. It all depends on your budget. We have covered best tactical watches for the money. Look for sweet spot watch. A watch that is in the middle, that has all the perks of entry-level tactical watches and also makes room for some of the advanced features of high-end tactical watches. If you are not on a budget and can buy a high-end watch. Then the good news is we have covered the best watches and you can go ahead with what you prefer. For tactical watches, durability is of significant importance. The material your selected military watch is made up of should be of high quality. All military watches are claimed to be rugged designs but usually, these are rhetoric than reality. The glass should be abrasion-free and should offer great resistance. Some watches have sapphire glass that lasts for very long. Sapphire or Corundrum is the second toughest mineral that exists in the globe. In comparison with diamond, it is affordable. So you can get durability with the second best material in the world with a good budget. GPS is an acronym for Global Positioning System. It will tell you where exactly you are located on the globe. Some of the tactical watches are equipped with GPS. Some can even do time correction by getting time leads from GPS as well. However, GPS is a battery consumer. It will eat up your power as quick. Watch operating on GPS run out of power quicker than a non-GPS tactical watch. Also to clarify a confusion most people have. Most GPS watches only give you coordinates on your watch. You cannot view maps or drop waypoints. These are advanced features and come with more expensive watches. Such watches will allow you make routes or follow trails. You need to use a compass along with coordinates to make your way. We have weighed this as a special factor as not all tactical watches are equipped with it. It also comes with an increased price tag. If you are a hiker or a climber then you can benefit from Altimeter. It is meant to tell you the altitude or how high you are. As pressure changes with a change in weather and height, you can accurately get your altitude if your tactical watch comes with this feature. Quite a simple device which is meant to tell you where you should be heading. Combining it with GPS, altitude can help you navigate your way. At worst, you can make a handmade compass by charging a metal strip with your hair and placing it in a small puddle of water. The metal strip or wire will align it sell to north and south of earth. No brainer, this feature will let you know what is the temperature. It is very crucial, you can predict the weather by pressure changes along with temperature change. A GPS watch tells you the coordinates. This is a navigational feature and used with the combo with other sensors like compass and altimeter/barometer. Its already explained in detail above. Prepare for the unprecedented situations. You might fall and go through a trauma. While you recover and reassess environment, in such a situation all your equipment especially your tactical watch should be working. If your watch is impacted then you can suffer a blow. Not only the time but you will also be deprived of features like an altimeter, GPS, barometer, compass etc. Expect all sorts of scenarios and your tactical gear should remain safe after a rough hour. Especially water can trouble your equipment. Your tactical watch should be water resistant and should be able to withstand at least 100 meters of water. Therefore, in snow, cold, misty, foggy, swimming or water submersion your watch should be able to cope up with H2O. It would not be a smart decision to choose an unknown brand. You tactical watch might not stand after a single blow. So, its advisable to stick with better well-reputed brands. It is not a problem to view the tactical watch during the daytime. But it will be a problem to see it during the night. To impart night vision, these days tactical outdoor watches are armed with H3 tritium technology. This will make sure that you can see your watch even during the night time. The Tritium will make the watch dial or inner numbers shine without using voltage from your battery. I am assured that if you read the complete article you would have got the education of what a military tactical watch is. The concept for best tactical watch must be clear in your mind by now. We can categorize the watches reviewed above from Entry level, Mid Level and High End watches. In each category, there is a clear winner. In entry level, you should buy Suunto Military Core. For Midrange category we would recommend Casio RANGEMAN. But if you can afford then go for a high-end watch like Suunto Traverse Alpha. Although it competes with Garmin Tactix Bravo but after our detail checking of user reviews of both brands, we can confidently recommend you Suunto Traverse Alpha. For more details, please read back the review of both tactical watches above and decide by yourself which is the best military watch. So get a tactical watch for yourself. Make your outdoor gear more sophisticated! I love Luminox T25 tritium night view. It’s love! I was not clear about the baro-alti combination. Great explanation! While others are fascinated by G Shocks I am willing to give Traverse Alpha a Go. I love the design, it’s tactical and matches my style. Traverse Alpha is quite popular. Yes, I also do love the design too. It especially looks great during the night. Designs and builds especially production equipment, material handling systems, battery related process machinery, parts all these factors make a great difference on watches. I agree with you Elva! I carefully selected these brands. They have proven track record and established authority. Am a huge fan of Suunto. Am glad you covered all the aspects in detail. Couldn’t find the same elsewhere on the web. Am getting this beast. Thank you! I do agree Suunto Traverse Alpha is a class apart. The extra features are going to be handy. Yes, Samuel. They named it Alpha for reasons. Indeed I agree and it maintains the tactical look. Am confused on GPS Asad. Do you think I should base my decision on it? Go for it if you plan an outdoor trip to the wilderness. If that is not the case then you can compromise on GPS.